During Thursday’s monumental media conference call, UFC president Dana White announced Zuffa, LLC, the parent company of the UFC and WEC, would combine the two organizations and form one powerhouse promotion. Although they are completely eliminating a business entity with the merger, White couldn’t be happier with the direction he’s leading MMA. “As the UFC continues to evolve and grow globally, we want to be able to give fans title fights in every weight division,” said White. “This is a big day for the sport and the athletes who will have the opportunity to fight on the biggest stage in the world. The UFC will be adding two new weight classes in bantamweight and featherweight, while blending in the WEC’s lightweight division into their talented pool of 155-pounders. White confirmed that the winner of the December 16th lightweight title scrap between WEC champion Ben Henderson and Anthony Pettis will take on the victor of the UFC 125 main event between champ Frankie Edgar and Gray Maynard. That contest will then serve as a UFC lightweight title unification bout sometime next year. While most organizations typically downsize after a move this significant, MMA’s Tony Soprano promised everyone from the blue-caged company will still be able to earn. Versus couldn’t be happier with today’s news, as White also announced the UFC will expand their relationship with the network in 2011. The new television deal will let Versus host four live UFC fights in the coming year. Their prior agreement only allowed for two shows. 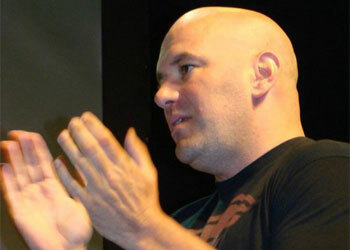 “We have a great relationship with the Versus network, and we look forward to working with them to give UFC fans even more free fights in 2011,” said White. WEC 52 on November 11th and WEC 53 on December 16th will mark the company’s final events on the edgy network.